Jennifer Egan is known for her fearless experimentation. Her work includes Black Box, a short story written entirely in tweets, and Pulitzer Prize-winner A Visit from the Goon Squad, her concept album-as-book, which includes a chapter told in PowerPoint. 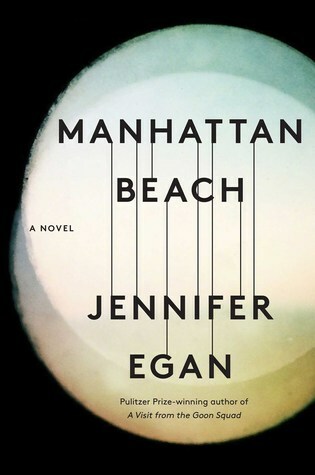 Egan's latest novel, Manhattan Beach, is another departure, a World War II-era story that follows the interlocking journeys of Anna Kerrigan, a determined young woman working as a Brooklyn Navy Yard diver; her missing father, Eddie; and Dexter Styles, a criminally connected New York nightclub owner and Eddie's former boss. The Brooklyn-based author talked to Goodreads interviewer Catherine Elsworth about the pain and thrills of working on a "normal novel," why she wanted to write a book about "women and female power," and what's next. Goodreads: Manhattan Beach is very different from your previous work. Can you describe the starting point for the book? 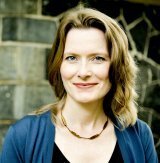 Jennifer Egan: I don't really start with characters or a plot. I just need a sense of time, place, and, I guess, promise—a sense that there's something in that place at that time that will be interesting for me to look at. I was drawn to wartime New York, the World War II era, without really knowing exactly why, and I applied to a fellowship at the New York Public Library with the intention of researching some sort of book that I initially thought would be set right after World War II. I spent a lot of time looking at images of New York during the war, looking at newspapers, just trying to see what felt alive. And what really came through was the way that in a certain sense the whole focus of New York was flipped from what it is now. Now the edges of New York look toward its center. Back then the edges were the center. The entire city was oriented around this massive waterfront because that was where everything happened. That really intrigued me. From there a series of other things caught my attention, and they included stumbling on the Brooklyn Navy Yard, which was the epicenter of the New York waterfront during World War II, as it was the largest builder and repairer of Allied ships. I went on a tour and was absolutely amazed—it's huge, like a little hidden city. It was such an exciting place, and again it pressed on me this sense of the immediate past of New York, which is really what the war feels like if you think about the history of the city, just pushing out from underneath. Then diving quickly entered the mix because I saw that there had been civilian divers at the yard, and that seemed exciting. And naturally some other things attached themselves, such as the Mob element, which was part and parcel of waterfront life in New York. So those constellations of environments were what were pulling me forward, and then I just did what I always do, which is I wrote by hand, not knowing what would happen because I don't know what the story is as I write, and [I] struggled for quite a long time to make it work in any way, shape, or form. GR: You started your research in 2004. Would you say you'd been working on this book since then? JE: I didn't start writing it seriously until the beginning of 2012, but I was researching whatever I could for a long time before then. I got involved in an oral history project and helped interview a lot of people who had worked at the Brooklyn Navy Yard, and that was mostly before 2010. 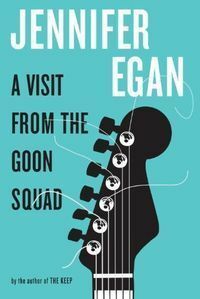 So there was a richness to continuing to think about that time and educate myself very slowly, if a little bit haphazardly, because then Goon Squad came out and I got very caught up in that. 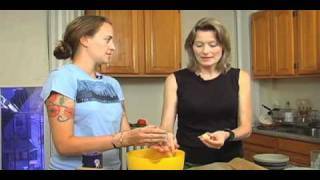 The researching was a bit desultory until I started writing, at which point I became pretty obsessed and slightly terrified as I began to understand how much I didn't know and how much I would need to know, and it felt almost impossible. Actually, it felt impossible. GR: How did you get past this? JE: I always felt very excited by the research itself, and that was for a long time the only fun part. Then eventually I reached a point where all the knowledge seemed to coalesce. And that was such an exciting feeling for me with this book. Then I felt I could finally have some fun and things began to get funny, which for me is absolutely essential. If I feel that's not happening, it's a sign something's not right. But when that finally started to happen, the payoff was greater than it's been with any other book. The fun, the deliverance, the kind of escape it gave me was really, really a thrill. GR: How did the character of Anna come about? JE: I think I knew as soon as I began looking at the Navy Yard that I was interested in the women who worked there. I also really wanted to write a book about women and female power in some way, as my books had started to edge toward the male. The Keep is very male, and Goon Squad is about 50/50, but I had to keep a careful tally of how many chapters I had from male and female points of view and work to make sure it didn't skew too far into the male. So I thought it's really time to think about women specifically. I was also very interested in looking at the beginnings of America's status and role as a superpower. That sounds terribly abstract and vague, but they were some of the ideas I had along with the specific environments I'd become interested in. And so Anna just arose the way my characters always do. I started writing, and there she was. It took me a while to get to know her. I was very determined not to replicate the kind of coming-of-age story that I had written in my first novel (The Invisible Circus), which is about innocence becoming experience—I hate the feeling that I'm doing something I've done before. But it actually came to seem much more interesting that she was quite the opposite, although that was a tricky thing to be in her world where women were supposed to be inexperienced. GR: What was it like to write something so different from your previous books, something so traditional? JE: I talked about a lot of the discomfort I experienced while working on the book, and one other source of discomfort was the feeling that all the bells and whistles I'd hoped to incorporate simply didn't work. I wanted the book to be playful—formally—as I've enjoyed being in the last few projects I've worked on. I'd come to feel that was just what I did and also what I was expected to do. The Keep is very strange, and then Goon Squad had all these different styles, and Black Box went even further, and so I thought, "Well, now I'm just going to be flying around like a bat through time. It's going to be amazing!" But I had absolutely no idea how I was going to do that, and I think I had forgotten something that I learned before, which is that formal experimentation only works if it's the only way a story can be told. If you're imposing it from the outside just to be tricky and fun, it at best feels gratuitous and more likely will be downright awful, and unfortunately that's how it was playing when I was trying to do it in Manhattan Beach. It was downright awful. GR: What kind of things were you trying to do? JE: I kept trying to move around in time. I wanted to connect it to the present, and that was just a real vibe kill. I also had the idea of a more knowing, winky third-person narrator, who would be in a pact with the reader, knowing that we're all in the present now. But that felt manipulative. So I had to let go of all that, which was surprising and a little frightening because I thought, "Well, wait a minute, this is just going to be like a normal novel, but that's not what I'm supposed to be doing!" In the end what was so funny was that once I had reconciled myself to this and gotten through my stages of grieving that all my fun tricks were not going to work, I felt tremendous relief. I hadn't realized that I was actually tired of doing all that. It was so much fun to let it go and take on a new set of challenges. There are a lot of very difficult technical challenges that come with more conventional straightforward storytelling, and those were almost insurmountable for me. So I think it was time for me to do something different, and I really enjoyed it. It's not that I've given up all that other stuff; I'm more than open to it, but it just wasn't called for here. GR: How did winning the Pulitzer Prize change things for you, if it did? JE: It changed things a lot. I found a lot of readers for the first time, so that was huge. It was the first really extraordinary luck that I've had. Also, I think because I was not early in my career and had written several books and really was middle-aged, I was vividly aware of the need not to squander it but to capitalize on and appreciate it. That may have made it even more intense because I did not feel like this was my due or that "Gee, it's always going to be like this." It was as if I had walked into the local bodega and bought one lottery ticket and won. It was so on that scale, it was extraordinary. It definitely came back to bite me when I was working on Manhattan Beach and finding it to be quite lacking in quality for a long time because I suddenly felt for the first time in my career that people actually did care what I did, that there were some people who were hoping I would write a good book, and the thought of disappointing them, that sense of responsibility, I found difficult to manage at times. I had to remind myself that even if I never wrote another book or my book was terrible, yes, people might be disappointed, but I shouldn't flatter myself that they'd be crushed. I could only do my best. GR: So to be clear, you didn't feel when you completed Goon Squad that you'd done something particularly special that was going to resonate? JE: Not really. First of all, when I sold it, it didn't have the PowerPoint chapter in it, and I think honestly there are these moments when doing one extra thing can exponentially add to the quality of something. Without that PowerPoint, it had some good stories, but I'm not sure it quite exceeds the sum of the parts. Somehow that PowerPoint was really important, and basically I huffed and puffed to make that happen at the last minute, so I guess I never had a chance to really contemplate it. I didn't think it was that amazing. I felt proud of it, but I didn't expect it to get the attention it got at all. I also thought it was a book about time that only middle-aged people would be interested in, just as I didn't start to read Proust until I was in my 30s because I finally had an appreciation of what it meant to have time pass. So I was astonished to find myself going to high schools and reading to kids there. I did not have high expectations at all. GR: What do you think people who loved A Visit from the Goon Squad will make of Manhattan Beach? JE: I'm sure some of them won't like it and will be disappointed, and that's been the case for me going from every single book to the next. I lost a lot of Invisible Circus lovers with Look at Me, and then a lot of people didn't like The Keep, and then Goon Squad is really not for everyone. So I'm sure that there will be people who will be looking for some overformal playfulness from me and be disappointed, and I totally sympathize. And you know, people should read what they want to read. I guess the price I pay for keeping myself entertained by taking a different approach every time is that I may not bring all my readers with me. GR: What's your typical writing day like? JE: If I'm writing original stuff, meaning a first draft, I try to write five to seven pages a day by hand, and that can actually take very little time. So that's a good time to be doing other things. Then, once I'm editing, I'll use as many hours as I've got, and I can pretty much do it anywhere—in an elevator, on the subway, because I'm editing on a hard copy. Right now I'm working just on journalism, so I feel a little out of the loop with fiction. But I'm very eager to get back to it, and there's always a kind of emptiness when I'm not actually working on something. GR: Can you say anything about your next fiction project? JE: I can, I'm hoping—and this is really a big if, as I don't know if I can make it work, but I would like to have it be a project that includes Black Box and follows other peripheral characters in Goon Squad into different realms. My hope is that by employing some of the same principles, namely each part stands on its own and is about a different person, usually told in a different way technically, I hope to arrive at a result that feels entirely different from Goon Squad. What I don't want is a feint, basically a tepid reprise. That would not be acceptable, and if that's the best I can do, it's not happening. I'm curious to try, so we'll see what I come up with. GR: What are some books you've read recently and loved or are looking forward to reading? 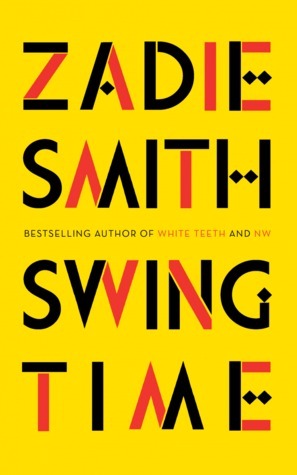 JE: I loved Swing Time, Zadie Smith's new book. I really want to read Little Fires Everywhere. I've never read Celeste Ng, and I'm curious about her work. I was crazy about Lincoln in the Bardo, absolutely bonkers for that book. 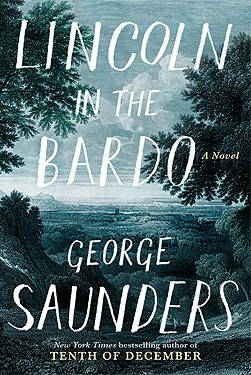 [George] Saunders wrote a historical novel and managed to have formal playfulness, so I think he's the master. I really enjoyed Danzy Senna's new book, New People. I'm also just starting The World Without Us by Mireille Juchau, which I really like so far. Can I include 19th century? I'm deeply into [Anthony] Trollope, the Barsetshire series. 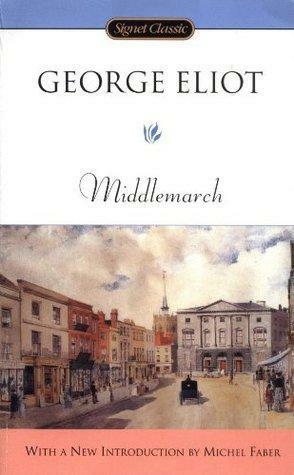 I had to write an introduction to a U.K. edition of Middlemarch, which spurred me to read it again for a third time, and it is just so amazing. 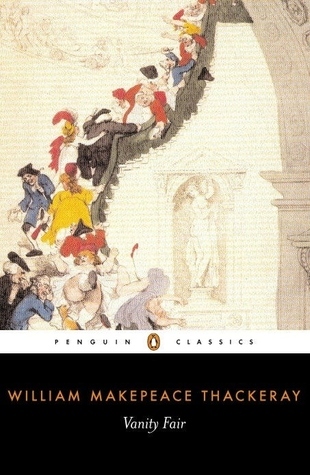 And I read Vanity Fair for the first time by [William Makepeace] Thackeray, which is so much fun, really wonderful. That probably covers the immediate past. GR: Here's a reader question from Lauren: Was there any one person who was extremely formative in your writing career? JE: I had a high school teacher in my freshman year named Mr. Knight, and he loved my writing. It had never occurred to me that I was any good as a writer, and it wasn't what I wanted to do. I wanted to be a doctor. But he saw something in my writing that he really liked, and he encouraged me, and I will always be grateful to him. It wasn't until years later that I decided to become a writer, but I feel like that was a secret joyful acknowledgment that I carried forward that later became something bigger. It really shows you why high school teachers are so important. GR: Here's another reader question, this time from Natalie: Which of your characters is your least favorite and why? JE: Likability per se is not something I think about, but as a reader and a writer, I have to feel close enough to a character's perceptions and habits of mind to understand why the choices they make are essential and the right choices for them. When I say to myself, "I don't like a character," my problem is not so much that they are doing things that I don't like. Who cares? That's irrelevant. It's more a feeling that I'm not deep enough inside to understand their choices, and therefore I'm just uninterested in what happens. I have felt that way about characters I was writing, but those characters were either cut or reenvisioned because that's not a feeling that leads to good fiction. So I really have to—I hesitate to say "love," but I have to deeply identify with anyone I'm going to invest in over the course of a book, and nothing less will do. Read more of our exclusive author interviews as well as more great reading recommendations. Thank you being so candid, Ms. Evan. I look forward to reading Manhattan Beach! Interesting. 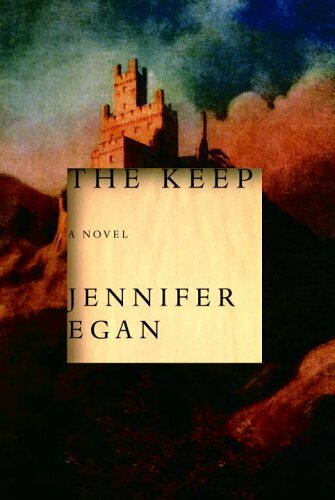 Good Squad is one of my favorite books, and I loved The Keep. I have Manhattan Beach on pre-order. Can't wait to read your next book. I've loved them all! Looking forward to the shift to the history. Love that the shipyards feel like a city. Well done! I enjoyed reading and look for more from this author.